Let’s clear about this: Oracle Management Cloud (OMC) is NOT a replacement of Oracle Enterprise Manager Cloud Control (OEM CC) or even an equivalant. Rumours are that this will be Oracle’s policy in a far away future, but in the meantime we focus on what they do best. 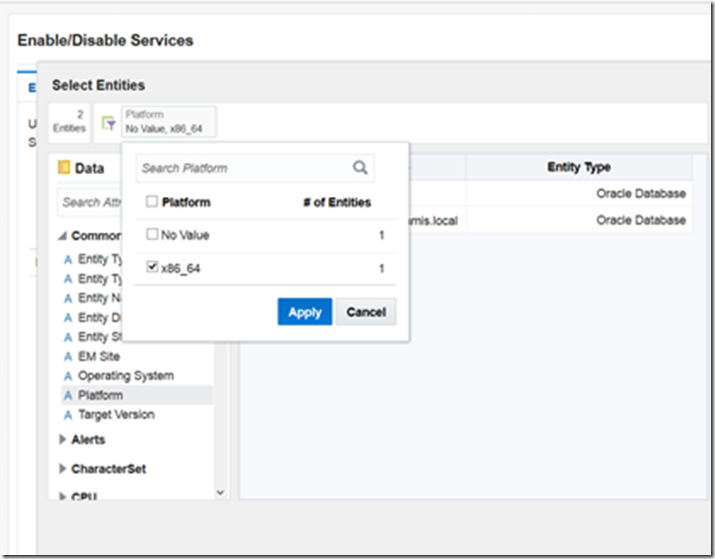 OEM CC is a product for a complete management solution for your Oracle environment, OMC for monitoring and, most of all, analyse the monitored data in your Oracle environment. Oracle made it possible to connect these worlds by using the data of the repository of OEM CC in OMC. And that’s what this post is about. 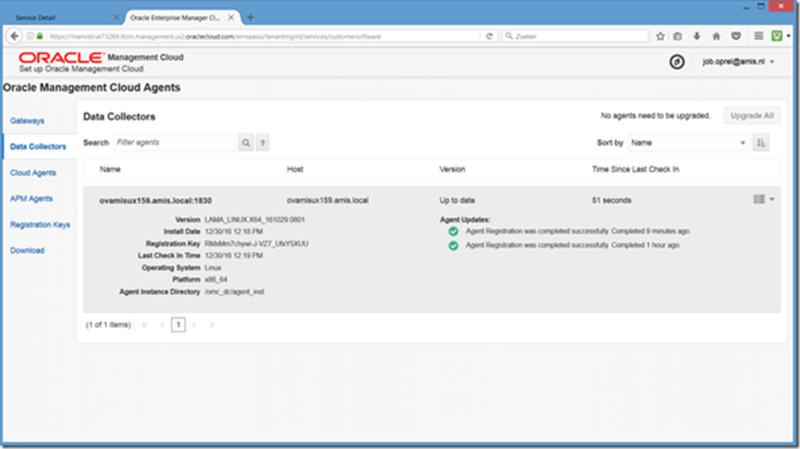 In a previous blog about monitoring Infrastructure with OMC I installed an OMC-cloud agent on a server with OEM CC with the repository database on it. 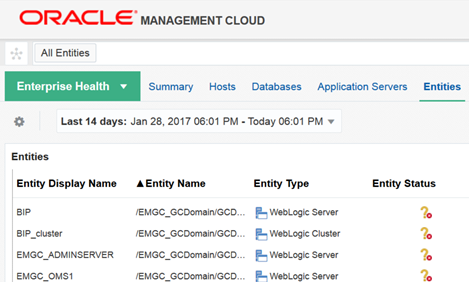 Through this OMC-cloud agent it’s possible to monitor the assets – in a nice gui – but what I’d really like to do is use the data in the OEM CC – repository for the analytical power of Oracle Management Cloud. My infrastructure monitoring is working since this blog by installing an OMC-cloud agent. The question is however, do I have to install an OMC-cloud agent on every node, and connect every node to the OMC? A part of that is true. 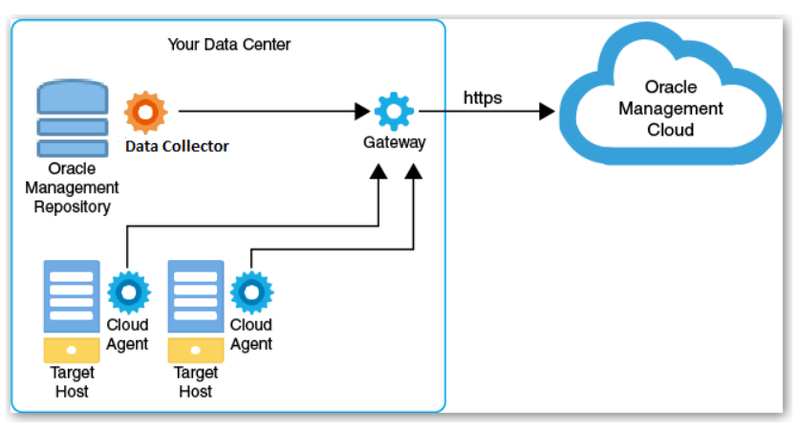 A cloud agent is necessary on every node, but they all can be directed to 1 node where a central gateway has been installed for connection to OMC. But of course you also can install a data collector for information from the Oracle Enterprise Manager Repository. For now I’m interested in the data collector. 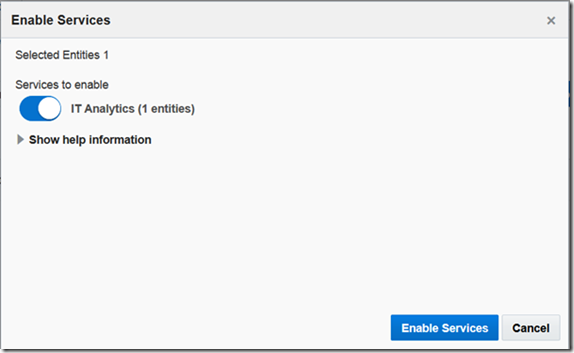 This data collector collects different types of data from the Oracle Management Repository, including targets, target properties, metrics, performance metrics, and events. According to the doc I need to install the gateway ánd the datacollector. In the former post I already downloaded the master-installer for Infrastructure monitoring, and this is the same as for the gateway and data collector. Performing the installation in two steps: downloading first, and then install from staged directory. ./AgentInstall.sh AGENT_TYPE=gateway AGENT_REGISTRATION_KEY=’RMxMm7chywi-J-VZ7_UfxY5XUU’ STAGE_LOCATION=/gwayagent -download_only —-> this may take a few minutes, results in a gateway.zip of approx 290 MB. Same recipe, first download, then the install. ./AgentInstall.sh AGENT_TYPE=data_collector AGENT_REGISTRATION_KEY=’RMxMm7chywi-J-VZ7_UfxY5XUU' STAGE_LOCATION=/gwayagent -download_only ---> this results in a lama.zip, the same as the cloud_agent,so in fact no need to download again! Here I was a bit confused by the use of OMR_USERNAME. The documentation of the agent_install script states that this is “The Oracle Management Repository user name “. But this user should be a user with SYSDBA to install the Harvester schema – in this case SYSMAN_EMAAS_3. Then it’s time to add entities to the IT analytics-datawarehouse according to the doc. This time no need for OMCLI-commands, now’s it’s time to return to the GUI of the OMC. Here it’s called ‘Enabling Services’ on Entities. Be aware: only the items which were added through the infrastructure monitoring (through OMCLI) can be enabled as a service! A small documentation bug: I seem to miss a functionality: the IT Analytics Administration link. As an IT Analytics administrator, you can add database targets to the IT Analytics warehouse for AWR collection. 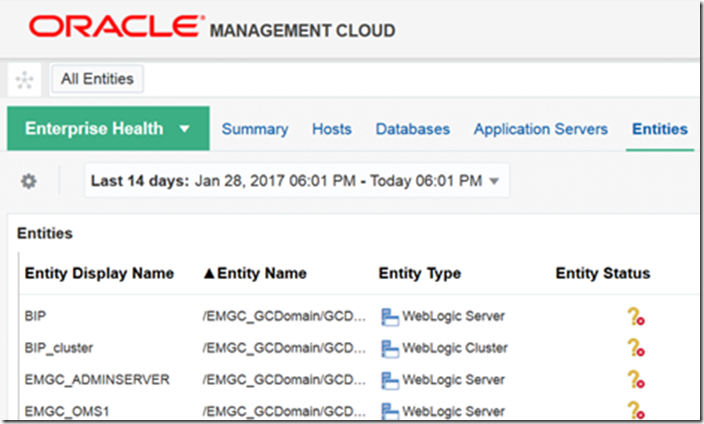 From the Oracle Management Cloud home page, click the Application Navigator icon in the upper-right corner of the page. 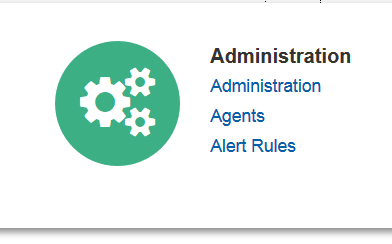 Found out this link is no longer called “IT Analytics Administration”, it is just “Administration”. 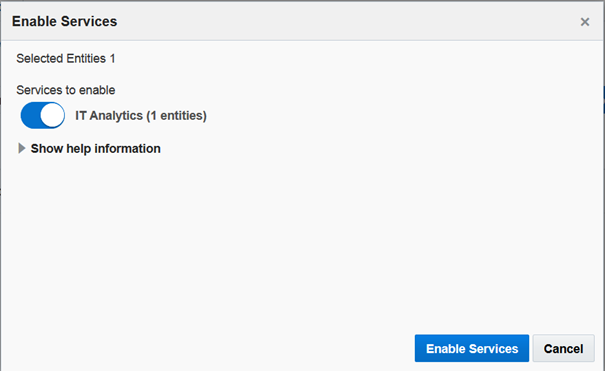 From there, the link “Enable/Disable Services” is used to add entities/targets to the ITA Warehouse. But, no data is yet to be seen. Is the data collector healthy and well-configured? No significant connectivity issues found between Data Collector and Gateway. Checking the log file /omc_dc/agent_inst/sysman/log/gcagent.log : no errors. Are there any items that are added to OMC? When navigating to e.g. 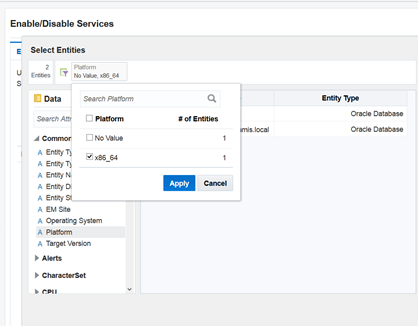 Enterprise Health –> Entities, I can see entities which I haven’t added manually to EMC, and which are obviously added by the OMC – data explorer. You may ask why the status is unknown? That’s because of the OEM CC agent which died at my server while having some other problems. Nice to know: how does this data collector collects his data of the repository? This is recorded in the log-file of the OMC-data collector log, hereby an example. O.k. I clearly reached my goal. OMC is connected with OEM CC. And that’s where it stops at the moment for this blogpost. But now what? I would have love to show some more, but time is limited (and the trial period) . Clicking around in OMC is not very intuitive and you clearly need some time to figure out how to use this and discover the added value. You also need time to figure out what all the agents on your system are doing, except consuming resources. A recap: the concept of OMC is still very promising, however the GUI and the technical implementation needs improvement. But hey, the developers of OMC has just begun, compared with the maturity of OEM CC 13c. My major concern at the moment is the policy of Oracle. Their cloud-eagerness could led to a decision to replace OEM CC for OMC, while these products could be complementary to eachother, even reinforcing. 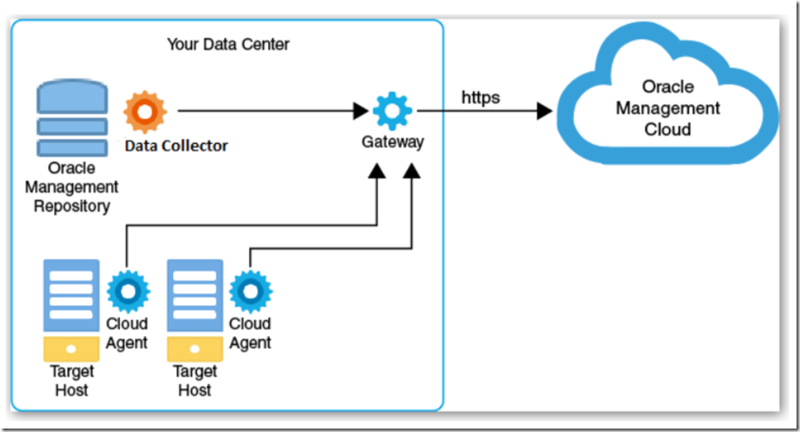 I have gateway agent running on my OEM server, Do i still need to install cloud agent on OEM server inorder to integrate OMC with OEM ? Yes, you’ll have to install a so-called data-collector, which is of course a cloud agent in another role. Ariel, the HARVESTER_USER_PASSWORD is the password you want to set at the moment of the user defined by HARVESTER_USERNAME. The user is created by OMR_USER (in this case SYS) and the password is the one you type in. OMR_USER_PASSWORD is the password of OMR_USER (SYS).